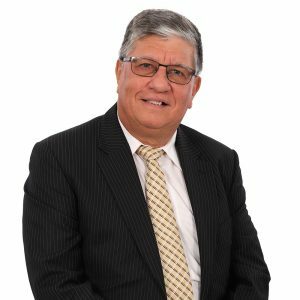 Mr. Viljoen is Necsa's Chief Audit Officer. He completed his B.Compt degree with UNISA in 1982. Registered Member of both IIA SA, and SAIPA. From 1978 to 1983 - he completed Articles of Clerkship with the Accounting Firm, PriceWaterhouseCoopers (PWC). In 1983 he was appointed at the former Atomic Energy Corporation as Senior Accountant and became Section Head in Finance department during this period until 1987. From 1987 to 1993 he moved over to (Pty) Ltd, newly established and full subsidiary of Necsa at the time, with its operations in Rosslyn, i.e. as Financial Officer, and later was appointed as the Head of Finance department. From 1993 to 1994 - he moved back to Necsa from HTP as Finance Manager of Necsa Business Units. From 1994 to 2018 he was appointed as the Internal Audit Manager and later became Head of Internal Audit department in 2004, and later on, Group Head: Internal Audit, with NTP and its Subsidiaries, as well as Pelchem that have been added as part of his responsibilities. During the period of being Group Head: Internal Audit, also became an EXCO member. He currently serves as Acting Group CFO, from November 2018.